How do I publish my Infographic? 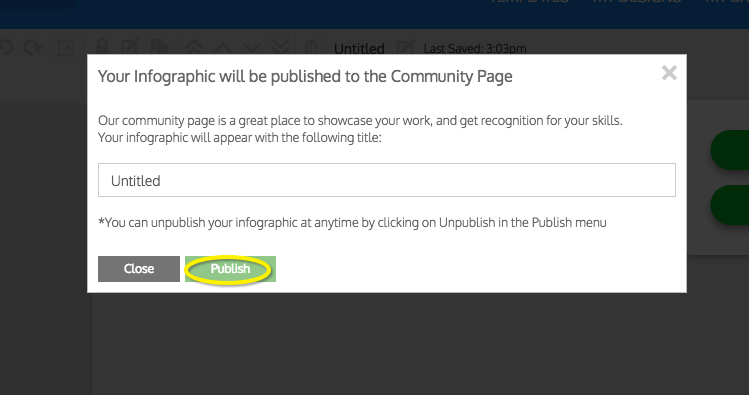 To publish your work, click on the 'Publish' button in the top right corner and click the 'Publish' button. 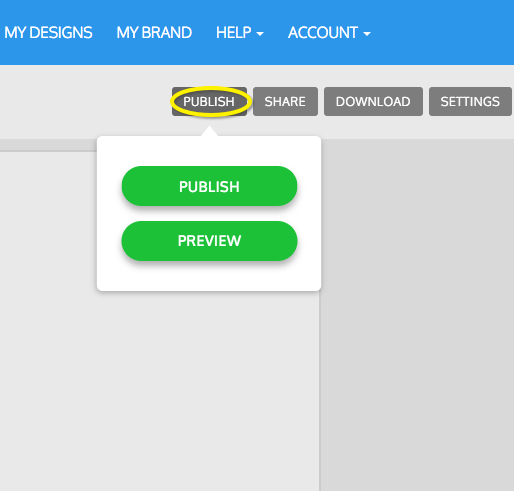 Enter your desired title for your design, and once you’ve finished click on publish. Now you will be able to share your work on your social media platforms.